The standard western diet is not a healthy one and there are no signs that it is improving. We consume far too much processed, sugary food and far too little of the things we need like fresh produce and fiber. When it comes to achieving better health, we can learn a great deal from traditional diets in distant and lesser known areas of the world. We have already looked at healthy diets that promise to extend lifespan like the Ikerian diet as well as special diets that can enhance the gut’s microflora. 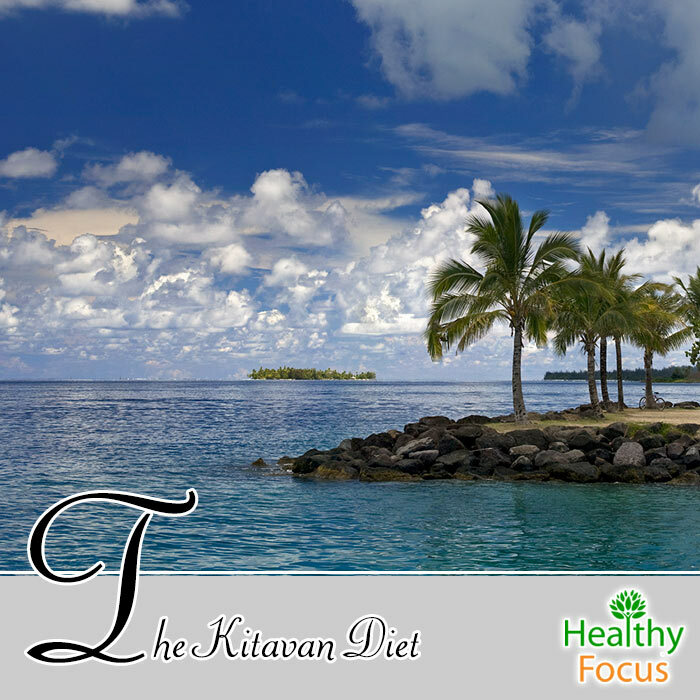 Today, we are going to look at another diet eaten by the people of Kitava – a small Pacific island which is all but free of many serious disease. What is the Kitavan Diet? Belonging to the Trobriand islands in Papua New Guinea, this tiny island is home to some 2,300 inhabitants who have maintained a traditional Paleolithic diet for thousands of years. The people of the island are largely traditional farmers and the staples of their diet are sweet potato, taro, yam, cassava, coconut and fruit as well as fresh fish. Their diet has not been influenced in any way by the modern western diet and does not involve any dairy products, coffee, tea or alcohol. Their consumption of salt, oil, sugar and cereal is negligible. In fact, Western food makes up less than one percent of the Kitavan diet. Despite the fact that most are involved in farming, their level of activity is only a little higher than activity levels in western populations. Moreover, some 80% of the inhabitants smoke regularly and a large number chew betel. We have become very carb conscious over recent years and diets like the Atkin’s diet have almost made carbohydrates a bad word. And yet, the Kitavans get the vast majority of their calories from carbs. The estimated nutrient composition of the diet is 69% of total calories from carbohydrates, 21% from fat with 17% coming from saturated fats with a further 10% coming from protein. The first thing to note is that Lindeberg’s study was conducted back in the 1990s and that there have not been any studies to support his findings since then. It is also worth noting that there were weaknesses in the research methods that cast some doubt on his findings. More on that later. The study examined 220 Kitavans who were aged between 14 and 87 then compared then to a healthy sample of the Swedish population. The researchers found that a number of risk factors in heart disease were lower in the Kitavans when compared to the Swedish sample. These included systolic blood pressure, cholesterol levels, tricep fold thickness and body mass index. Blood pressure levels were lower in the Kitavans for males over the age of 20 and women over the age of 60. Total cholesterol and LDL (the bad type) cholesterol were both lower in the Kitavans while triglyceride levels were higher in Kitavans aged between 20 and 40 compared to their Swedish counterparts. One problem is that the age of the subjects was not objectively verified but were estimated based on their memories of historical events. Another issue is the way in which the absence of stroke and heart disease was deduced. Participants in the study were asked if they knew or had ever seen anybody suffer from the symptoms of these conditions. The responses were however reinforced by local doctors who gave anecdotal evidence that they did not see those disease among the islanders. The researcher did perform EKGs on the participants but normal EKGs do not completely rule out cardiovascular disease or atherosclerosis. Regardless of these weaknesses, the findings are certainly notable and worth exploring further. One of the interesting things about the Kitavan diet is the amount of total calories the inhabitant get directly from carbohydrates. Despite consuming so many carbs, obesity is pretty much non-existent and diabetes is very rare. The staples of the Kitavan diet include tubers, fruit and fish. The tubers that make up the backbone of their diet are yam, sweet potato, cassava (or manioc) and taro. The inhabitants of the island also eat plenty of fresh fruit, the most popular of which is banana, guava, papaya, mango, pineapple and watermelon. Their overall intake of fat is very low especially when compared to the average western diet. Most of the fats they consume are saturated fats from coconut and polyunsaturated fats in the shape of omega-3 that they get from fresh seafood. While the people of kitava consume plenty of carbohydrates, their overall physical shape is excellent with most unaffected by the obesity and diabetes epidemic sweeping the west. The glycemic index or GI measures the way in which foods containing carbohydrates can raise the body’s blood sugar levels. Food with a GI above 70 is considered high while food which scores lower than 55 is considered low on the GI scale. Food high on the GI scale contains rapidly digestible carbs which trigger a dramatic increase in blood sugar levels. On the other hand, food with a low GI ranking contains carbohydrates that are digested more slowly and produce a more gradual and less pronounced rise in blood sugar. Diets with too much high GI food can badly affect the body and are linked to various health issues including obesity, insulin resistance. diabetes, heart disease and fatigue. Unlike the modern western diet with its reliance on processed carbohydrates and fast foods, the carbohydrate sources that make up the bulk of the Kitavan diet are low on the glycemic index. Cassava has a GI of 46, yam (35), boiled sweet potato (44) and boiled taro (56). Not only do the Kitavans appear to avoid degenerative illnesses like heart disease but the diet appears to keep their skin looking healthy and free of acne. Around 80% of western teenagers will develop acne at some point during their teenage years. While this is an embarrassing enough condition for a teenager, it thankfully clears up in most cases as you reach the end of your teens. Unfortunately for some 20% of people, acne continues to affect them into adulthood. Remarkably, the study done by Dr. Lindeberg also found that acne was almost non-existent in Kitava. During his seven week study, Lindeberg visited nearly 500 homes and examined over a thousand inhabitants over the age of ten. 25% of those he examined were aged between 15 and 25 – the ages in which most westerners are plagued by acne. During his study, Lindeberg did not observe a single person affected by acne. Once again, Lindeberg attributed his findings to the Kitavan eating habits rather than any genetic factor. Many other Pacific islanders with similar ethnic backgrounds but diets and lifestyles influenced by the West are not so fortunate and the incidence of acne is much higher.